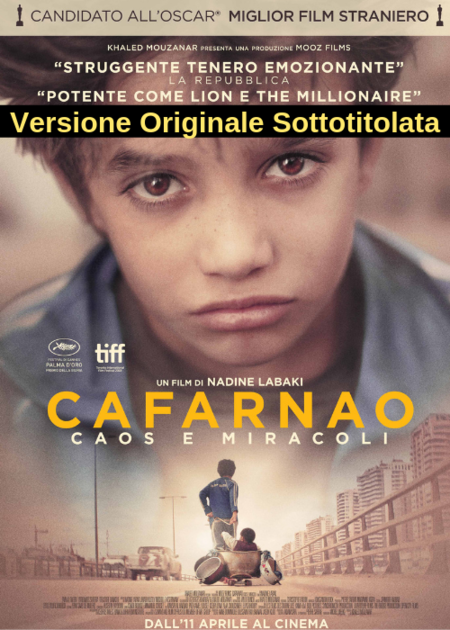 Trama: Capernaüm ("Chaos") tells the story of Zain (Zain al-Rafeea), a Lebanese boy who sues his parents for the "crime" of giving him life. The film follows Zain as he journeys from gutsy, streetwise child to hardened 12-year-old "adult" fleeing his negligent parents, surviving through his wits on the streets, where he meets Ethiopian migrant worker Rahil, who provides him with shelter and food, as Zein takes care of her baby son Yonas in return. Zein later gets jailed for committing a violent crime, and finally seeks justice in a courtroom.